GUATEMALA – CANADA This is the second time these two teams see each other on a futsal court, but first in a CONCACAF tournament … In the last meeting, which took place almost nine years ago, Chris Sarantopoulos scored twice to lead Canada to a 5:3 victory over Guatemala on the final day of a four-team round-robin friendly tournament (included Mexico and host USA) in Anaheim, California … With former futsal and beach soccer player Sipho Sibiya at the helm, Canada is competing in their first CONCACAF Final Round after eliminating El Salvador a two-game qualifying playoff, 7:6 on aggregate, prior to the 2012 tournament … The Maple Leafs are also one of only two CONCACAF teams (other Cuba) that have not lost a game in regulation to Guatemala … Meanwhile, the defending champion Chapines, who had staged the FIFA Futsal World Cup in 2000, are hosting their second consecutive and third overall CONCACAF tournament … Carlos Eduardo Estrada, who’s also looking to become the second coach to win his second Confederation crown (other USA’s Keith Tozer) in the 2012 tournament, coached Guatemala to its second appearance at the FIFA Futsal World Cup in Brazil 2008, posting a 2-2-0 record in group play, but was unable to progress to the next round … The two Chapines’ victories were the most by a Central American nation at the FIFA event … Since then, Guatemala has also made three consecutive appearances at the annual Grand Prix de Futsal in Brazil (2009-2011) with its best finished coming in 2011 (fifth-place). 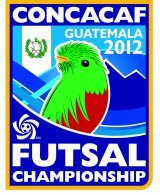 The four semifinalists of the CONCACAF Tournament will earn the final qualifying berths to the 2012 FIFA Futsal World Cup that will place in Bangkok and Nakhon Ratchasima, Thailand from 1-18 November … The CONCACAF Representatives will join the following qualified nations to complete the 24-team field: Host - Thailand; Africa (CAF) – Egypt, Libya, Morocco; Asia (AFC) – Australia, Iran, Japan, Kuwait; Europe (UEFA) – Czech Republic, Italy, Portugal, Russia, Serbia, Spain, Ukraine; South America (CONMEBOL) – Argentina, Brazil, Colombia, Paraguay; Oceania (OFC) – Soloman Islands. 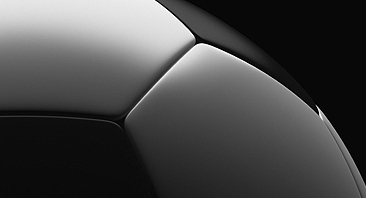 CONCACAF has staged four previous futsal qualifying competitions for FIFA tournament … The USA was crowned confederation champion twice (1996, 2004), while Costa Rica (2000) and Guatemala (2008) won single titles … Cuba has finished as runner-up on each of the four occasions. Of all the teams’ eight head coaches at the 2012 CONCACAF Futsal Championship, only Costa Rica’s Diego Solis has captured the Confederation crown as a player in 2000 … Solis played all tournament matches and was second on the event’s goalscorers list with seven on the way to the host Ticos 5-0-0 record … Costa Rica’s perfect ledger at the 2000 tournament has not been match by the other CONCACAF winners (1996: USA 3-1-0, 2004: USA 3-0-2; 2008: Guatemala 2-0-3) … Solis also competed with the Ticos in two FIFA Futsal World Cups (Hong Kong 1992, Guatemala 2000). Since winning its first CONCACAF title four years ago, Guatemala had played the most international matches by any Confederation team (38) leading up this tournament … Costa Rica is second with 33 encounters.